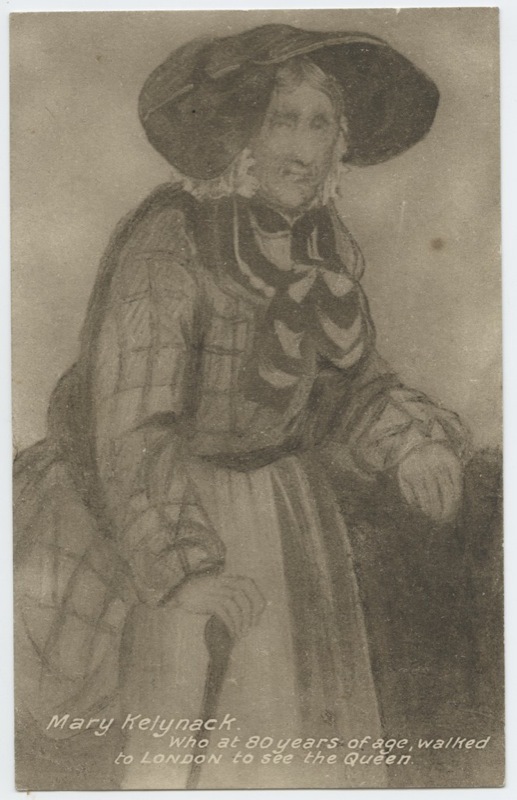 Mary Kelynack was a local Character who resided on the Fradgan, Newlyn. “Mary Kelynack. Who at 80 years of age, walked to London to see the Queen,” Morrab Library Photographic Archive, accessed April 22, 2019, http://photoarchive.morrablibrary.org.uk/items/show/13723.